St. Jude Children's Hospital confirmed that Eric Trump has raised millions of dollars for the organization over the last decade. The son of Donald Trump has reportedly helped raise $16.3 million over the last decade for St. Jude Children’s Research Hospital, the organization confirmed recently. Richard C. Shadyac Jr., president of the hospitals’ fundraising organization, personally wrote a letter to Eric Trump on Dec. 30 saying that he was “amazed by the many ways that you have personally embraced our cause for our children and families,” according to a New York Times report. 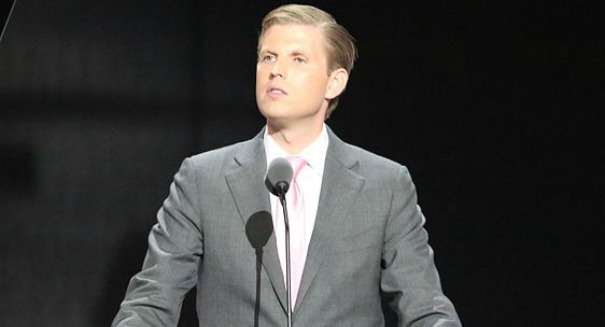 Although tax records from the Eric Trump Foundation show that he has raised less than half the amount claimed, it’s possible that the details of more funds will be released since tax documents for non-profits are delayed by two years, according to The Hill.